#itonlytakesaminute at CLEAN CULT | iiaa Ltd | The UK and Ireland distributor of Environ Skincare, jane iredale makeup and Advanced Nutrition Programme. 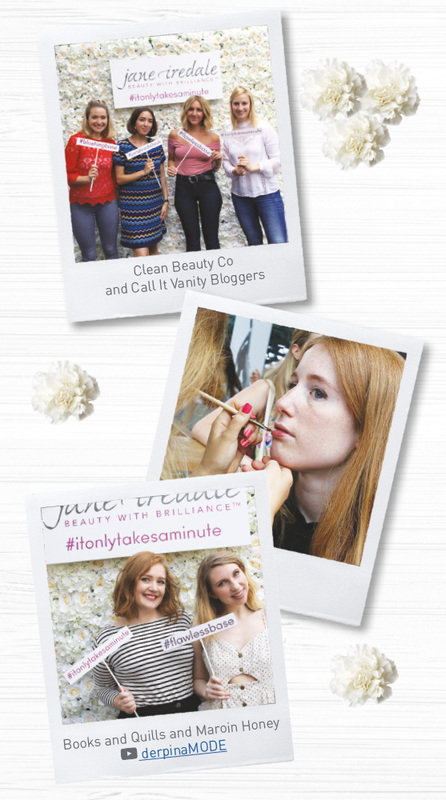 On Sunday July 10th the jane iredale® team headed down to London’s first well-beauty event ‘Clean Cult,’ in collaboration with bloggers Call it Vanity and Clean Beauty Co. The event took place at Ethos, situated in Old Spitalfields market. Superfood cocktails were served and the afternoon was dedicated to the very best of clean beauty. Premium brands products with a cult worthy status, including jane iredale® truly embraced the Clean Cult community – a new era of luxury beauty, minus the dirt. jane iredale® Brand Manager Danielle Bookatz, said: “Clean Cult was a great event to be a part of, we brought our #itonlytakesaminute campaign to the event offering one minute makeovers to all who attended." Sabrina and Mayah from Call It Vanity also commented: "One of our main missions at Clean Cult is to show people that natural isn't what it used to be when it comes to beauty and that it's completely possible to green your routine all the way from body cream to mascara. One of the brands is jane iredale®. They have a huge catalogue of make-up to suit everyone's wants and needs. We challenge you not to be impressed!" Our flower wall generated a great social buzz amongst the attendees including, savvy beauty consumers and a number of VIP press and influencers, whose combined audience reaches over 25,000 natural beauties all over the world. Share the message, like the posts and become a Clean Cult follower with jane iredale® #itonlytakesaminute.